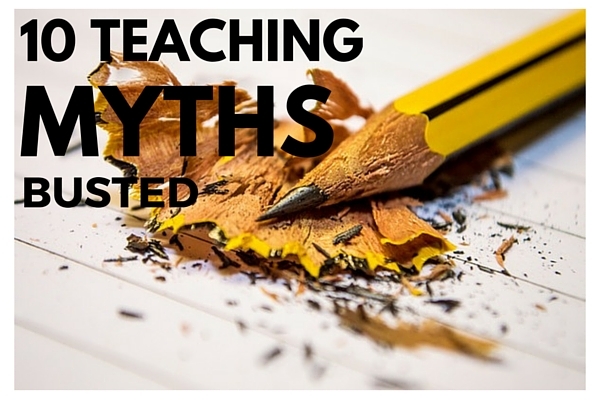 10 Teaching Myths Busted [Infographic] | So You Want To Teach? I came into my first teaching job with some beliefs that I have since learned were not true. This article explores ten of those teaching myths. I used to think that going to college and getting an education degree was enough to make me competent as a teacher. What I have found was that programs vary from school to school, but in general these programs provide you with a very simplistic framework for teaching. They have you write lesson plans, observe classes, and teach a few lessons. 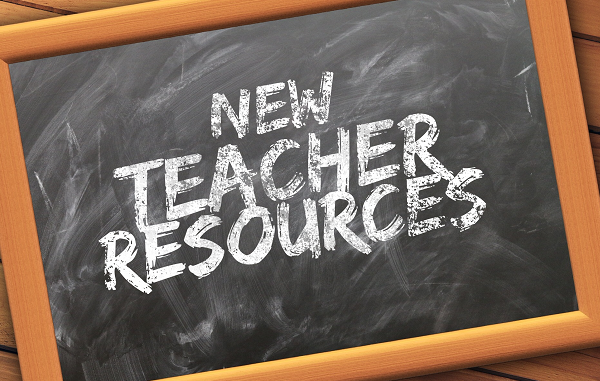 In fact, no one-size-fits-all program can adequately prepare anyone to teach. Young teachers must be proactive about their continued learning and find a mentor who will walk alongside them in the process. Being the official teacher rarely has an impact on how the students treat you. Sure, there was that one sub back when we were in school that everyone walked all over. But also remember that one first year teacher you heard about in middle school that nobody liked and who never all your friends complained never taught them anything? That’s us if we’re not careful. That’s the one who is struggling to get the whole classroom management thing figured out. I find that the reasons students attend school are quite varied, but they generally come down into one of four categories. This is the group I was in. Many of us who gravitate toward teaching tended to be in this group. We are an exceedingly small minority. Many students enjoy the learning aspect, but most have ulterior motives for school attendance. Talking is not always disruptive behavior. 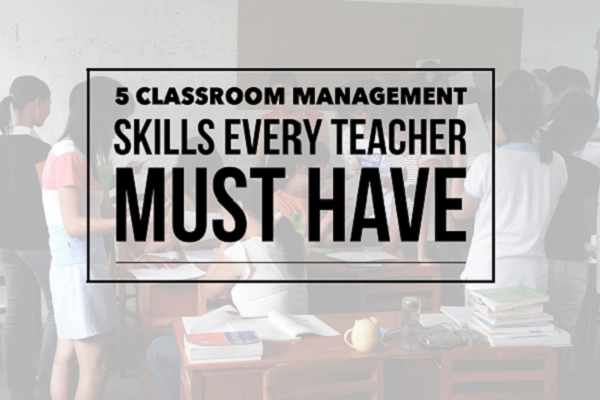 When done at the right time, it is what many students love most about their classes. Of course, it can easily get out of hand if left unchecked. Every class has the potential to be the highlight of the day for many of our students. The odds are very likely that a handful of your students could very easily graduate high school and remember how much they enjoyed your class. Keep this in mind as you plan your lessons. Learning accompanied by joy tends to stick the best. This is the saddest group of them all. For many students, time spent at school is the only peaceful time they ever get. Whatever food they can find at school, either through free and reduced lunch programs or getting it from friends, is often the only food these students eat over the course of a normal weekday. By the time these students make it to their teenage years, they are usually very good about hiding this situation from others for fear of embarrassment. This last realization alone completely changed the dynamic of how I relate with all of my students. I’m sure this is the case for many electives, but this seems to be quite common in bands in Texas. Sometimes students take electives simply because they need it to fulfill a graduation requirement and your class seems to them to be the easiest. Of they signed up for ______ because a friend would be in it, but a series of schedule conflicts have not turned out so well for them. Often, these students want out but can’t get out. They often think that causing problems may be their only way to get out of the class. Lucky you! In reality, elective teachers often get the least respect from other faculty members, school administrators, students, even parents. It’s as though they think all we do is play games and have fun all day. One way we can remedy that respect issue is by constantly making an effort to treat ourselves, our students, and our subject matter professionally. Use academic language when referring to learning goals. If you need help, I found a guide called A Primer for Academic Language for Art Teachers. Every situation is unique. Experience teaches us which techniques to use. Experience is gained through trial and error. We we learn more, we collect more techniques to deal with problems. But again, there is no such thing as a one-size-fits-all fix to classroom management. One student may wet their pants out of fear that you might call their mom (I’ve actually had that happen), and the next parent will cuss you out for calling them at work (yes, I’ve had this one happen too). The solution is to seek out and eventually find a solution. If it doesn’t work, make a mental note of it and then try another technique. One bit of advice: I have learned that I won’t assign detention unless it is highly convenient for me. No use punishing myself for the student’s misbehavior. This is similar to the last myth. I suppose it’s worth asking for a change in dire situations, but in general, this will not happen. Find another solution to handling student misbehavior. Equality and equity are not the same thing. This image helps explain this myth quite well. In more than a decade of teaching, I usually average around three weeks of nonconsecutive unhindered down time during the summers. Teachers getting summers off is a myth. I have recently been using it for travel. The rest of the time? I’m closing out the previous school year, organizing my office and files, taking classes, studying, attending conferences, working with marching band students, curriculum planning, and the list goes on. Most teachers spend their summers teaching summer school, working a second job, doing home maintenance, organizing their classroom, and spending some quality time with their family. On a great year, you can plan on getting up to two months to reassemble your life before it all starts back up again. Are teachers paid comparably to someone in the private sector who does the same duties? Probably not. Are teachers paid a standard babysitting rate compared to the time they spend teaching? Of course not. There’s no shortage of cute comparisons. Some people say teachers should be paid more, and others say that teachers should be paid less. Perhaps there is room for improvement, but in general, we get paid well. I began teaching in 2002, the first year that the No Child Left Behind law was in full effect. I have never been employed as a teacher in a pre-NCLB world. I took the old ITBS when I was in elementary and the TAAS in high school. I’ve administered TAKS, and STAAR. I get it, standardized testing can be annoying. The test itself is not the problem (actually in the case of STAAR, the test itself does appear to be the problem), but in general the problem lies with how the results are handled. Imagine if the tests were merely used as formative assessments to measure progress along the way. Imagine teachers taking those data and using them to guide their instruction! But in general they are not used that way. That’s not the test’s fault, though! The truth is, in 2016 with technology where it is, this sort of standardization of education is unrealistic for our students. Whether you agree with standardized tests or not (and odds are unless you were elected, you don’t), I highly encourage you to address your concerns, and move on. Now get out there and individualize your instruction as well as you possibly can. READ Why Do We Do What It Is That We Do? Teach your students as though they were unique people, not merely as receptors of your limitless wisdom.